Using multiple IDs for the same app is a feature that many people require, often to transition between work and personal accounts. Apps such as Instagram allow you to switch seamlessly between accounts, but the functionality isn’t uniform across all platforms. Facebook, WhatsApp, and Snapchat let you log in to one account at a time, so switching between identities involves logging out and reentering the credentials over and again, which can get cumbersome if you need to switch often. As a workaround, some manufacturers let you run two independent instances of the same app simultaneously. The feature has been around for a while on Huawei and Xiaomi devices. Stock Android is devoid of such a feature, forcing people to rely on third-party solutions such as Parallel Space. Samsung unveiled their Dual Messenger feature in the Oreo update, which might seem a bit late, but we’ll take what we can get. 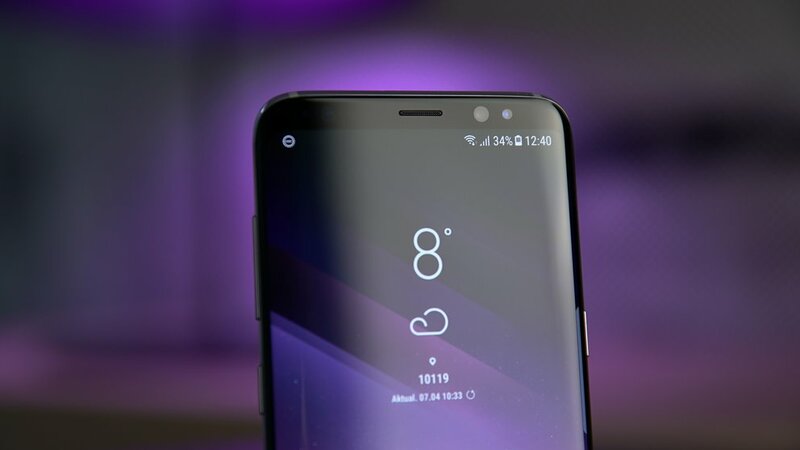 Previously, one had to install a separate instance of the app in Samsung’s secure folder to achieve a similar effect, but it’s a whole lot simpler now. On the Galaxy S9 and S9+, you can even limit the contacts that are shared with the duplicated version of an app, something that should make its way to the Galaxy S8 with a software update eventually. For reasons unknown, dual messenger support is not extended to apps that natively support multiple accounts. It would have been nice, as launching a new instance of the app is a lot easier than switching accounts in-app. 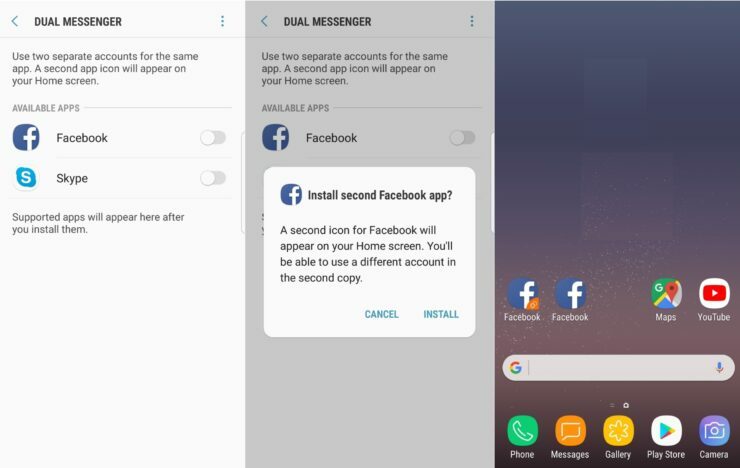 Some of the apps that work with Dual Messenger include Facebook Messenger, WhatsApp, Facebook, and Snapchat, with support for additional apps coming soon. The Dual Messenger option is hidden deep within the settings. Here’s how you enable it. Go to Settings>Advanced Settings>Dual Messenger. You’ll be presented with a list of compatible apps. Simply toggle the app you wish to clone, and you’re all set. The app will appear on your home screen with a chain icon in the bottom-right corner, to let you differentiate between the two.